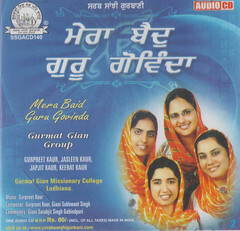 The encouragement to go in to recording Gurbani Kirtan lead to the formation of Gurmat Gian Group which now has 5 CDs to its credit. Q 4. How has being in this group added to your spiritual development as a Sikh? Thanks a lot Arvinder Singh Ji. Really I am amazed at the dedication of you Kaurs of the Khalsa Panth. 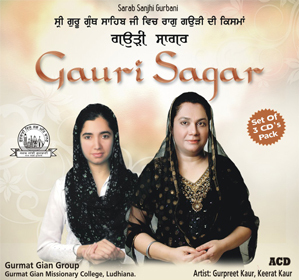 And God-Waheguru is pleased with you and that is why He has Blessed you with Kirtan – Gurmat Sangeet. I hope that you will freely distribute this knowledge od Gurmat Sangeet to other Kaurs. Kaurs can do everthing, they can play Table with masterly perfection (we have few such girls in Sydney), They can play Rabbab, Taus, Dilruba (we have several girls in Sydney playing Tanti Saaz). 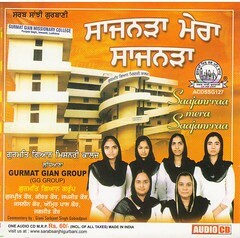 It is the best ever psentation of Gurbani Shabads that I have ever heard so far. Bibis’ of Gurmat Gian Group who are doing an excellent work for the spread Guru’s word far and wide. Whole heartedly, I congratulate Bibi Gurpreet Kaur and her team for their dedication to spiritual music and hard work to achieve perfection. You all are indeed are all blessed. gurbani presentation with classical base, is done superbly. pronounciation of each word is crystal clear and perfect.god bless u with great prosperity in the field of gurbani singing. it sheerly touches the heart. i would like to have shabads sung in raag ahir bhairav and shivranjani. 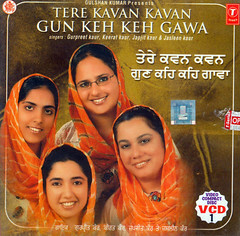 It is amazing that we sikh panth have such great singers . I really appreciate your dedication & the hardwork you people are putting. Really like your shabad sang ( Mu lallan seo preet bani) .Hearing your other shabads also. 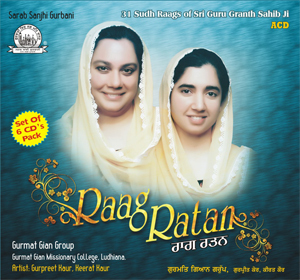 classical base have amazed me i would like to hear some Basant raag shabads from your group. May god bless you people with more good music. Very inspiring to hear of how your discipline and dedication are paying off and your music spreading into the world. All the best to you. 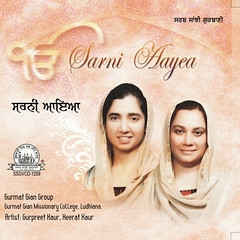 Thanks Gurpreet Kaur and your team for such a soulful gurbani. May waheguru bless with u all with his choicest of blessings. The interview says everything about you and your efforts. For me You are the WAZIRS OF WAHEGURU on earth, that is why he is taking this seva from u.